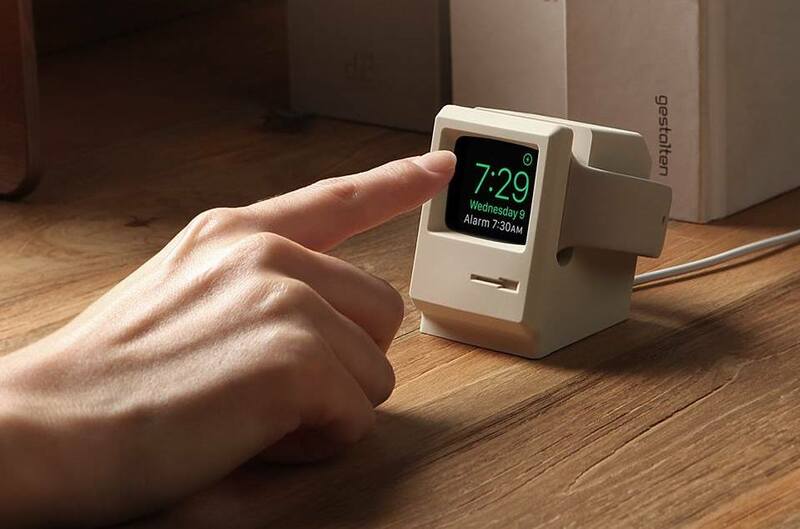 Elago, a design company from California has designed an incredibly remarkable Apple Watch stand in retro Macintosh style. With an incredible attention to detail and versatility, Elago travels back in time to 1984 and fills the hearts of tech geeks with pure joy. The stand, called “W3” is crafted from scratch-free silicone and turns your Apple Watch display into that of an old Macintosh monitor. It also provides compatibility for all Apple Watch chargers and allows for an easy use of all key functions during night stand mode. The W3 comes in two colour ways (black & white) and costs $14.89 on the online store. We have added more images below to showcase the beautiful design. New, elago W3 Stand for Apple Watch Series 1 and 2. – Easy to use_ After installing the charging cable in the W3 Stand, simply insert your Apple Watch to utilize Night Stand Mode. The silicone material makes it incredibly easy to insert and remove your Apple Watch your hands, but keeps it steadfast inside the stand despite vibrations or shock.